Phew… my kids are HUGE Despicable Me fans… and top of their Christmas wish list (ok, maybe it is in spot number 2, but it is there, I tell you!! 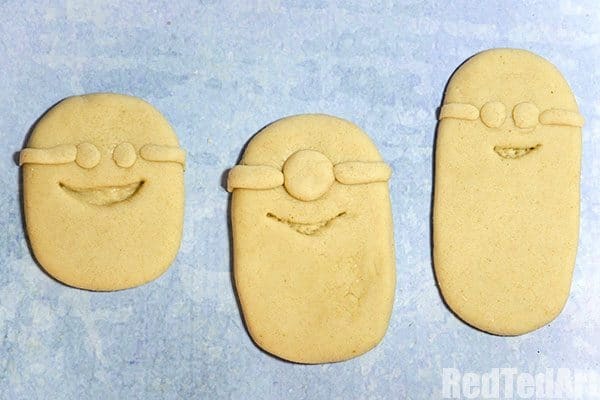 ), they have asked for the Despicable Me 3 Special Edition movie. Lucky for me, Despicable Me 3 is out on Blu-ray and DVD THIS WEEK. 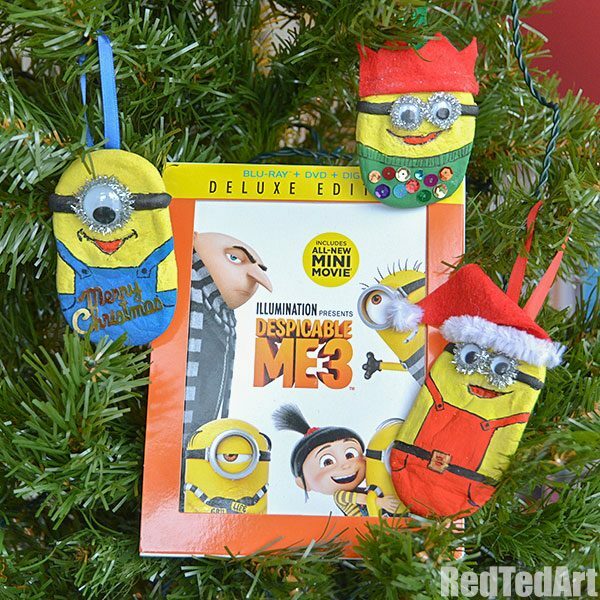 Not just the movie, but the Despicable Me 3 Special Edition (which includes a Mini Movie, special Minion Moments and more). JUST in time then… lucky me, I mean, lucky Santa! Teehee. 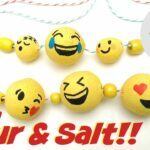 To celebrate our ridiculous overexcitement of getting the new movie and getting to spend some great family fun watching the fabulous ensemble of Gru, Lucy and the lovely girls, we have created some fabulous Minion Ornaments for you. 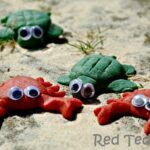 These are super easy, fun and inexpensive to make, as they are made using SALTDOUGH. 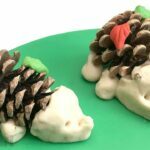 A wonderful versatile DIY craft dough that kids love to create with! Full instructions below.. But first a little about the movie! 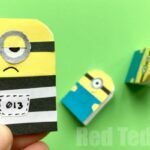 These go OH SO WELL with these Paper Minion Crafts I have shared with you before! 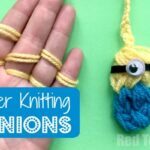 But why read about it all.. when you can see this fabulous trailer (my kids have watched this over and over.. and it certainly got us into the Minion making mood!). 1. 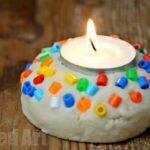 Take 3 balls of salt dough (about the size of a large marble) and roll them out into a tic tac shape (rectangle with rounded ends). 4. Now they need to dry out completely. 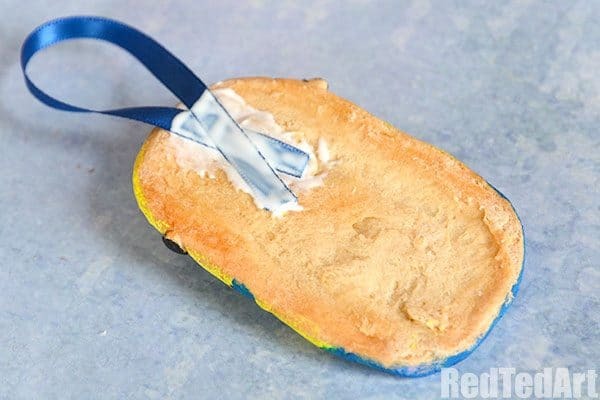 You can do this by baking in a vey low heat oven, using 10 – 15 second bursts in a microwave or by leaving near a radiator. Just remember to keep turning them over which ever way you choose to dry them as the moisture needs to escape evenly. You can even use a combination of all three – microwave first, then the oven and a final dry on the radiator. 5. When dry you can paint and decorate your Minions. 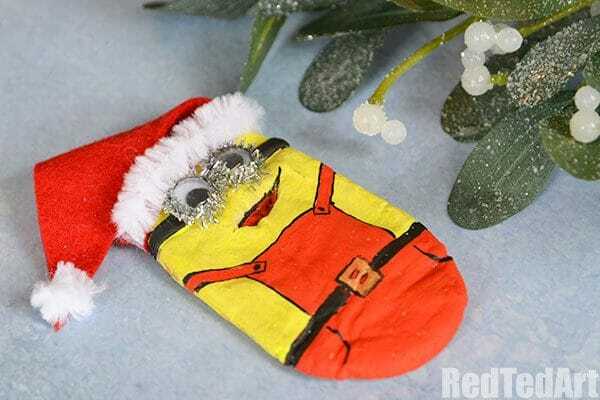 Red dungarees and a black belt change your Minion into a Santa Minion. 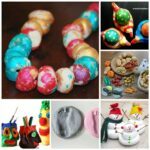 While the paint is drying glue tinsel around your googly eyes. When the paint is dry flu the google eyes in place. Cut a long pointy triangle out of felt and glue this just above the eyes. Bend the triangle forwards and sideways (glue in place) and add your white trim (I used fluffy chenille ribbon but you could also use white felt or cotton wool). 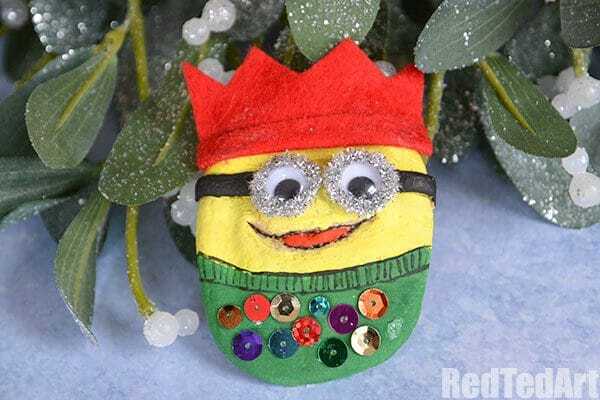 Paint your Minion using yellow, green (or what ever colour jumper you fancy) red and black paint. 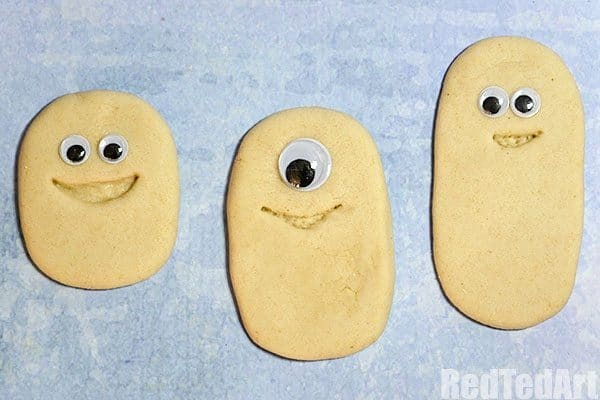 While the paint is drying glue tinsel around your googly eyes. When the paint has dried glue sequins onto the jumper and cut out a felt crown to stick just about the eyes. This little fella is your standard Minion in blue dungarees. Make him festively adding silver tinsel around his eye and sticking a festive sequin across the front of his tummy. You could use a gold felt pen and write it on a little piece of paper. 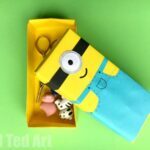 To hang your Minion cut a length of ribbon, bend it round and cross it and then glue it in place with a liberal coating of pva glue. 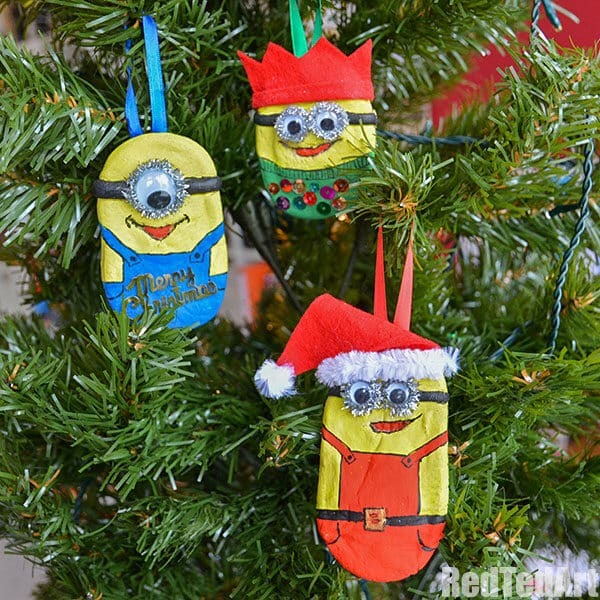 Wait until it has completely dried before hanging on your tree. Aren’t they super fun? 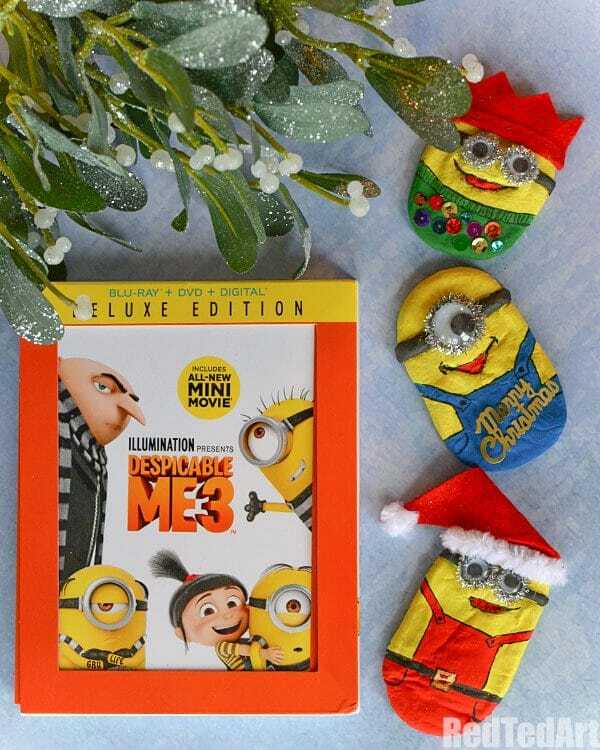 Now you have your festive “setting”… be sure to get out your new Despicable Me 3 DVD or Blu-ray.. put your feet up and settle down for some fabulous holiday viewing! The Despicable Me Special Edition Blu-ray and DVD is available in stores now. Be sure to add it to your Christmas Stocking Gift list! 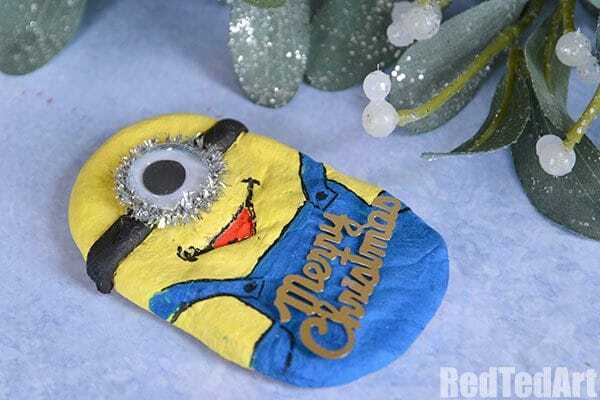 If you enjoyed these Minion Ornaments, you may also like these Felt Minions by Crafts by Amanda, or how about some FESTIVE Minion Cupcakes by Living Locurto? Too cute!